We purchased a Chimera Speed Ring and it broke during normal studio use. Is there a warranty for these or a repair program? Sorry to hear that your speed ring broke. It is a rare occurrence but it can happen. Please send us a photo of the break. 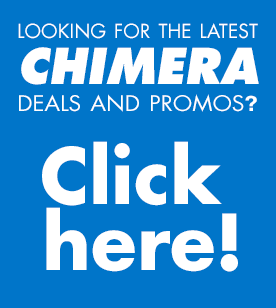 https://chimeralighting.com/wp-content/uploads/2017/08/chimera-lighting-logo-copy.png 0 0 Chimera Lighting https://chimeralighting.com/wp-content/uploads/2017/08/chimera-lighting-logo-copy.png Chimera Lighting2017-03-24 13:53:522017-07-03 13:35:46We purchased a Chimera Speed Ring and it broke during normal studio use. Is there a warranty for these or a repair program?